Preparation: Wash and soak the moong dal overnite. Grind the soaked dal into a coarse paste. Separately grind the coriander seed, cumin seeds, red chilli, cinnamon, garlic and onion into a fine paste. Cooking: Heat a non-stick tawa (flat pan) . Pour 1/4th of the moong dal paste and spread into a thick layer (slightly thicker than a oothapam). Spinkle oil from all sides. Allow it to cook on one side. Then toss and allow the other side to cook till golden brown. 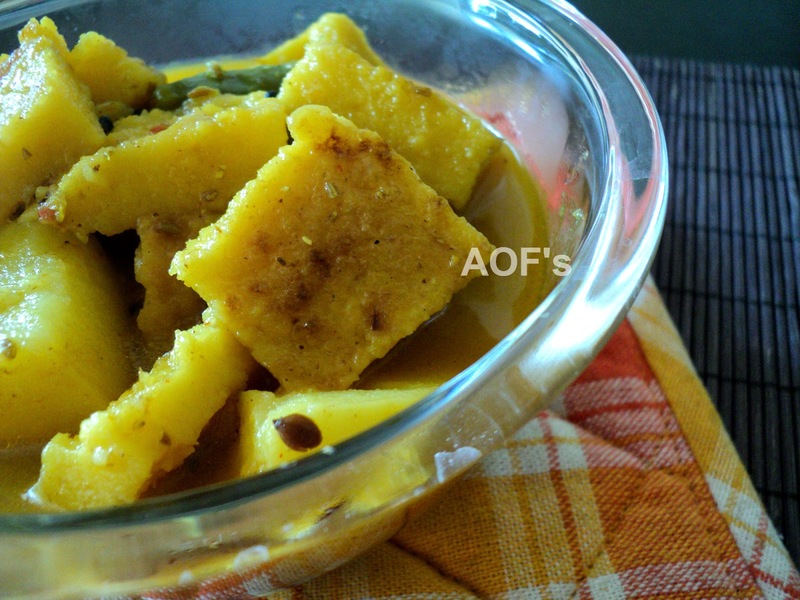 Repeat the process with the remaining moong dal paste.Cut the moong dal dosa into small squares (1.5 inch X 1.5 inch). Heat about 2 tsp oil in a deep vessel. Add the green chillies, methi and mustard seeds. When the seeds start spluttering, add turmeric powder and the ground masalas . Cook till the paste turns slightly darker, then add the potato pieces. Fry for about 5 mins and add 4-5 cups water. Bring to a boil and add the moong pieces. Cook till the moong pieces become very soft. 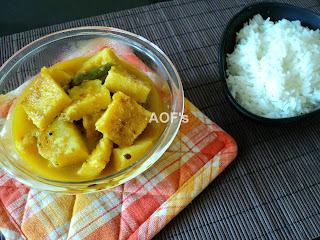 Remove from fire and serve with rice or rotis.